The use of motifs and leitmotifs is very frequent in the musical genres of classical and opera, but we can also find some examples of their use in that furious contemporary “classical” brand of sound making we known as heavy metal. Here we’ll explain what they are and their application in metal music. A recurring motif in a composition (usually an opera) which represents a specific person, idea, or emotion. 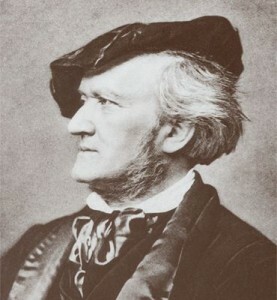 This term was first applied to the operas of Richard Wagner. A short tune or musical figure that characterizes and unifies a composition. It can be of any length, but is usually only a few notes long. A motif can be a melodic, harmonic or rhythmic pattern that is easily recognizable throughout the composition. A motif (without the “leit-” attached ot it) can be either melodic, rhythmic or harmonic, it doesn’t matter. It must be short in duration, though, and it must contain some importance for the structure of the composition, if not providing the backbone itself. It is not just a casual riff, but a memorable mini-tune around which parts or the whole of the composition depend on. Motifs have been used in metal music for all of its existence. In fact, the first motif in the history of the genre is the universally recognizable three-note sequence which is the main riff of the song “Black Sabbath” by the band of the same name. What would the rest of the song be without it? Like this transcendental example, motifs are the norm, rather than the exception, in metal. Leitmotifs, on the other hand, are motifs that are recurrent in an entire composition or album, and serve to return our minds to a particular feeling or idea. As such, these are not restricted to a single song, but frequently reappear on an album or entire work to reminds us of the object the motif evokes. An entire composition structured around leitmotifs is, then, rather than a collection of individual songs, a unit, or a large song composed itself of songs. 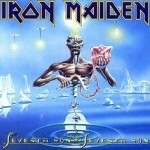 The acoustic short piece used as both intro and outro of Iron Maiden’s “Seventh Son of a Seventh Son” album. Notice that both differ solely on interpretation. The piece as the outro to the album is played slower and in a more tired fashion compared to the intro. Leitmotifs don’t have to reappear on a composition at exactly the same way all the time – rather the subtle variation between them can create a contrast, which in turn give the listener a feeling that a narration is taking place. Iron Maiden’s 1988 album is a concept work which tells the life of a clairvoyant from birth to death and it makes sense that the outro, with its more dragging mood represents the end of the life of such person. 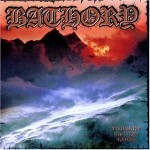 Another example from the same album are the intro sequences to the title track and the last track. Both are strikingly similar, except that the first is slower and ominous while the second is more upbeat. Notice that the lyrics on the last track of the album show a man resigned to his fate and happy despite of it, so the altered use of the riff from the title track (which could very well be the seventh son’s main motif) makes sense from this standpoint. Two different intros with the same motif attached to them. If you have the album, you can also notice how the intro to “Blood and Iron” further develops until it turns into the main motif of the song, which carries it to its end. It is not unusual to slowly turn one motif into another – Wagner did that on his operas, particularly in the transition between scenes 1 and 2 of “Das Rheingold”. 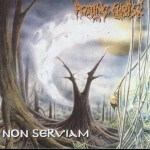 A small example of an implied leitmotif that gets displayed on its full extension later on the album is to be found on Rotting Christ’s “Non Serviam”. These were only a few examples. Notice that the use of leitmotifs isn’t just restricted to concept albums. See how many more you can find on your CDs. To learn more about leitmotifs, visit this excellent link: Leitmotifs in Der Ring des Nibelungen – an introduction.